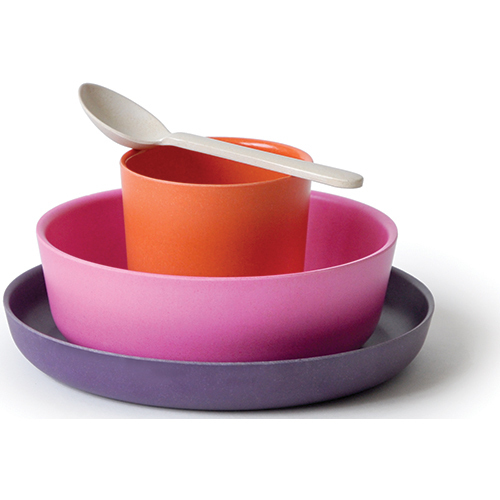 Designed for everyday use, at home, or on the move, this product is an alternative to traditional plastics, disposable or fragile dishware. 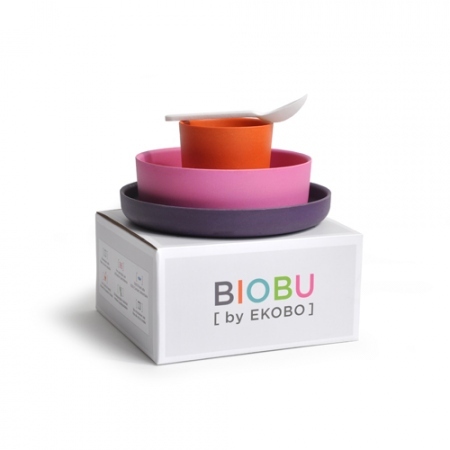 To extend the life of our products, Biobu have combined biodegradable bamboo fibre, a highly renewable natural resource, with a 100% food-grade melamine binder. 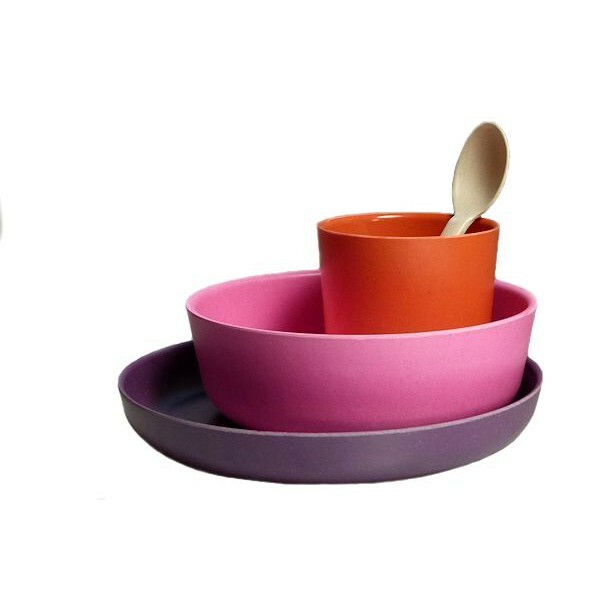 The set includes a shallow bowl (15 x 5 cm), a plate (18 x 2.5 cm), a cup (8 x 7.5 cm) and a small spoon (13.5 x 3.5 cm). 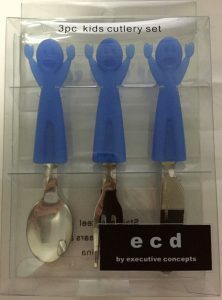 The mixed colour kid sets are fun and thoughtful gift for little ones in your life and brighten up meals for your own family !